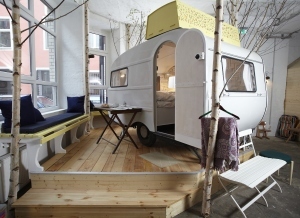 Situated in a former vacuum-cleaner factory The Hüttenpalast in Berlin is a new hotel concept, a cluster of renovated old touring caravans provide a unique way of spending a night in the culturally rich German city. 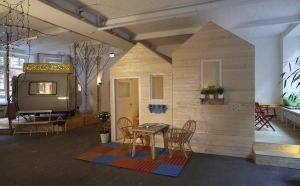 There are also new-build wooden huts to stay in as well, these rooms are fully furnished and well-designed, but yes, this is a glorified shed. This unusual and exciting accommodation is not a hotel in the classic sense and the rooms here have an outdoor adventure kind of an aura.